A couple of months ago, I wrote a post about how I was changing my approach to selecting books for Aaron to read. I'm happy to report that it's going very well on all fronts. The best (or should I say most rewarding) thing I've done so far is just making an effort to read some of the same books as him. When I made my goals for the year, I included one geared towards this specifically: "Read six of the same books as Aaron." I actually hope to read more than six with him, but that seemed like a good starting point. 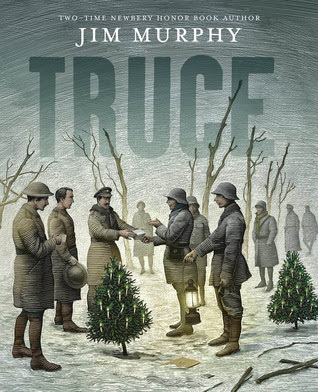 Awhile back, one of my favorite Instagram accounts mentioned a nonfiction title by Jim Murphy called Truce. I'm always on the lookout for nonfiction authors who write about interesting subjects in an engaging way. A quick look at my library revealed that Jim Murphy has written dozens of books on everything from tuberculosis to crazy inventions to a huge blizzard. I felt like I'd struck gold (or at least, I hoped I had). Such a find could potentially keep Aaron going for years. I checked out Truce from the library and then decided it would be the perfect book to kick start my goal with Aaron. In 1914, World War I broke out after a sort of misunderstanding (if you can call something as serious as an assassination "a misunderstanding." There was already quite a bit of tension between Germany, France, Austria, England, Russia, and other countries, and so maybe World War I would have happened at some point anyway, but to this day, it is often viewed as the war that never should have been. Most people thought it would end as quickly as it had started. Men signed up for duty with promises to their loved ones to be home by Christmas (a "quick and glorious adventure"). But when December 1914 rolled around, the war was far from over. In fact, soldiers were just barely figuring out how to fight in this modern age of tanks, machine guns, and poison gas. They began digging trenches into the ground to protect themselves, and the weather forced the fighting to a standstill. It was during this month that a rather remarkable thing began to happen. Across the miles and miles of trenches and against the express orders of their commanding officers, men began calling truces. The most widespread one happened on Christmas Day when thousands of soldiers on both sides crawled out of their hiding places and entered No Man's Land. Not a shot was fired. They greeted each other, shook hands, and shared what little they had to offer. In the enemy, they saw men just like themselves, "good fellows" who were just trying to follow orders and get home. In some places, the truce lasted just a day, but in others, it continued until spring. One of the things I really appreciated about this book was that it focused most of its attention on one specific part of the war. It didn't try to cover all four years or give a chronological recap of everything that happened, which I'm sure would have resulted in both Aaron and myself feeling completely overwhelmed. Instead, it set things up by going over the events that prompted the declaration of war and then spent the rest of its time on this remarkable truce. I thought it was interesting that Jim Murphy mentioned in an author's note at the end that he originally planned on writing a book that focused on the role of African-American soldiers in the war. However, after he was well into his research , several books on this same subject happened to be published, and so it seemed redundant to write about it again. Rather than move onto something else entirely, he continued to read about World War I and became intrigued by the accounts of this practically universal truce that happened on Christmas Day. And that's how the book came about. It's short (right around 100 pages), but it's not a book I'll be forgetting. Jim Murphy doesn't have the same gripping narrative style as Steve Sheinkin (author of Bomb), but I liked it nonetheless. It was compact and clear-cut and drew on many personal histories and photographs to make it come to life. 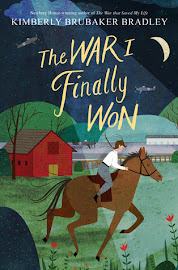 It ended up being a great one to read with Aaron because we both learned something new (I've read far more books on World War II than World War I), and it was nice to be able to discuss it in between chapters, summarizing what had happened and clearing up anything we were confused about. Jim Murphy is definitely going to be one of my go-to nonfiction authors from now on. Have you read anything by Jim Murphy? 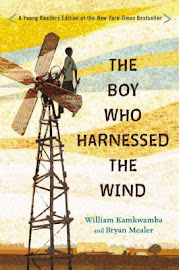 Who is your favorite nonfiction author for kids? 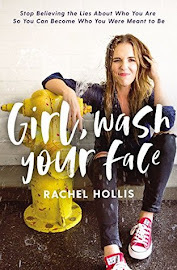 This sounds like a great book! I'll have to find it. And I see that you're reading Caddie Woodlawn. I loved that when I was a kid. My older kids enjoyed it, but I haven't read it to Corbin yet. I should!